The weather may be miserable and I may have returned to opaque tights but one thing you can wear is a gorgeous summer bag. 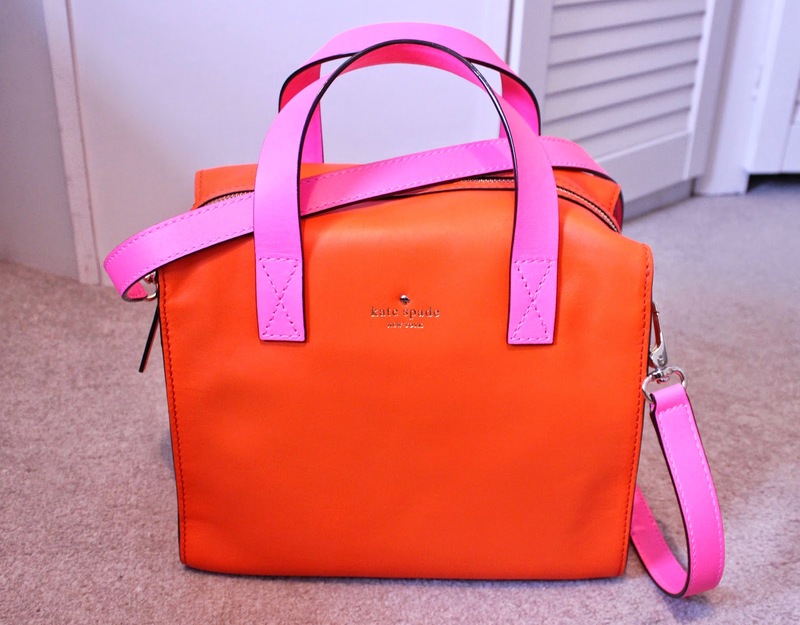 This little Kate Spade tote made its way into my life last week and not a minute too soon. Forecast for this week... grey, grey, grey - with a hint of tropical orange.